Believe it or not, most banks don’t want you to have good credit. As crazy as it sounds, most financial institutions would rather have more consumers with below average credit score and reports. This is also part of the reason why banks don’t educate their clients on credit scores and report improvement or education. In short, consumers with great credit tend to pay their bills on time. But wait, why do many banks deny those with below average credit? I’m sure glad you asked! If you have ever been to a Steak Restaurant, the waiters and waitresses will give you their script on the quality of the steak right? They talk about how they are better than any other restaurant out there and how prime they are. Prime is the word used to determine the highest quality grade of steak. This same meaning is probably the best way to describe prime and sub-prime when dealing with banking. In short, “Prime” is the highest quality and “Sub-Prime” is the lowest quality. Sub-Prime accounts in banking normally pay a much higher interest rate compared to their Prime consumers. The interest you pay to a bank is determined mostly by your credit score and report. Most prime consumers will have a history of paying their bills on time and because of that, they will more than likely get a lower interest rate and a lower payment. When a bank lends to a Sub-Prime consumer, the risk is much higher as there are increased chances of late payments or a defaulted account. So, if the risk is higher for the bank, why would they want more of this? The answer is simple…..Higher Interest Rates. Even though Sub-Prime consumers increase the risk for banks, these are the account that the banks make the most money on when the consumers pays over time. For those who don’t know, interest is how banks make money. Interest is the added amount to the borrowed amount as it is being paid back over time. In short, banks need a certain amount of sub-prime accounts with higher interest rates to cover expenses and etc. This increases the risk as many accounts have late payments and eventually go into default. So, if you are ever wondering why banks have huge buildings, high paying salaries to the big people at the top, and have many locations, take a look at how many sub-prime accounts they have. Yes, I know the question you are thinking right now might be something close to this….”What if the bank has too many sub-prime accounts and those accounts don’t pay?” This will lead to a recession as the banks must be able to lend to keep the economy going. Prime accounts are great investments as well for most banks. The problem is it’s only so much money a bank can make from consumers who pay their bills on time and how a lower interest rate. If this is the case, more banks would try to hold more sub-prime accounts correct? Not necessarily. It is not a smart move to approve every sub-prime applicant that applies for the financial product. This will soon lead to an unstable balance and more accounts will default. Some financial institutions have very strict rules on their sub-prime process to lower the chances of defaults. In these cases, the banks will ask for co-signers, higher down payments, more collateral, references, proof of address, and proof of employment. This also creates more loyalty from the consumers. Eventually, they know the situation may have been difficult to get the approval, but overtime, they begin to show trust. Customers with trust end up staying with the bank and with higher credit scores down the line for better terms. Hopefully you will have a better understanding as to why banks don’t want you have to good credit. Keep in mind, it’s not about what the banks want as you will be the one paying the payments each month. You have to position yourself and your credit to always have the best financial outcome possible. Of course, if your score is not where you want it to be, we can always help improve that with out personal step by step game plans. Calvin Russell Jr is a Certified FICO Professional, Approved Partner With Bankrate, and the CEO & Founder of GoSimplyPro Credit Consultation. 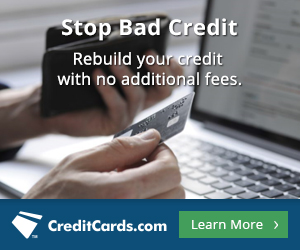 GoSimplyPro Credit Consultation is a Chicago based Credit Repair Company. GoSimplyPro Credit Consultation has helped hundreds of people increase their credit scores, qualify for homes, cars, and lower interest rates with their personal, Step-By- Step Game Plans. Contact us today to learn more at 877.205.7771 or email us at info@gosimplypro.com. 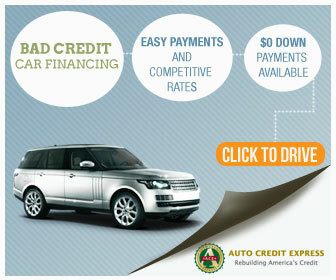 PreviousPrevious post:Bad Credit Auto Loan Bank Near YouNextNext post:Is Credit Karma Accurate? 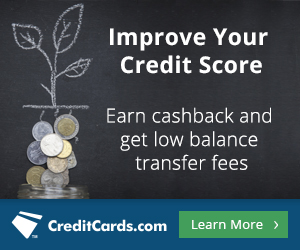 Is Credit Karma Better Than FICO? Very informative! I didn’t think about the banks this way! It all makes sense!